Many companies are so concerned with their top line that they forget to address the bottom line. No matter how good your sales people or marketing strategies are, you won’t effectively grow your business if you don’t establish a solid foundation, according to Forbes. Your company’s major issues are probably symptoms of cracks in the underlying structure. One of those weak spots is expense management. Prepaid debit cards for employees can help you establish the groundwork that you need for better progress. Traditional employee credit cards can cause problems in a number of ways. Their high credit limits can be a drawback for the company. If you haven’t set stringent budget limits, it’s easy for your personnel to go overboard on spending, especially on long trips. In other cases, you let your workers charge business expenses on their own credit cards. That leaves you sifting through receipts, going over expense reports and doling out checks. Prepaid debit cards for employees reduce the need for additional paperwork. They also serve as a working budget for users. Giving out petty cash is a traditional method of allowing employees to pay for unexpected costs. In one way, that’s similar to using employee prepaid debit cards. Workers can only use what they have on hand, and when it runs out, they can’t make any more purchases. While petty cash seems like a positive way to control spending, it’s hard to track, time consuming and susceptible to theft. You can set limits on prepaid debit cards for employees just like you would on petty cash use. However, employee prepaid debit cards are more flexible because staff members don’t need to come to you every time they use them. Prepaid employee debit cards can be loaded from anywhere, and you can monitor their use easily. When employees misuse corporate credit cards, you’re responsible for catching the problem quickly. Carelessly paying the bill every month without looking at it tells the credit card company that you’ve approved every purchase on the statement. It would be difficult for you to claim fraud after agreeing to pay for every transaction. CreditCards.com explains that authorized users are not usually held accountable for the company’s credit card debt. Some companies require workers to deduct funds from their paycheck to pay back personal expenses that they’ve put on a credit card. In those cases, the business is at risk if the deduction brings the pay rate below minimum wage. Workers who use prepaid employee debit cards are less likely to spend frivolously. Bento for Business provides debit cards for employees as well as easy-to-use monitoring for business owners or other admins. There is no limit on the number of administrators who have access to the account. 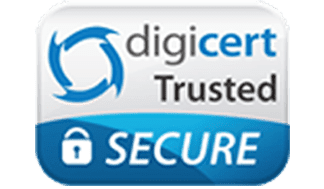 Therefore, you can create a direct line from the user to your financial departments without the headaches that come with traditional expense reporting. Technology is making expense reporting easier, according to the Wall Street Journal. Bento for Business is a new tool that puts expense control back in your hands with employee debit cards. Use the mobile app to load each of your employee debit cards separately, manage the settings and even cancel use. The app also lets you review transactions as they happen. You no longer have to file receipts or manage paperwork. You can try Bento out with a free 60-day trial. If you only need up to two debit cards for employees, your account will always be free. 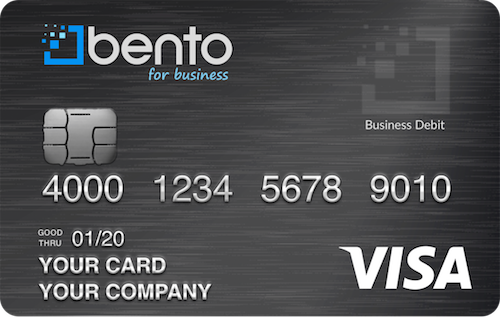 Bento for Business offers affordable pricing options for those who require more debit cards for employees. Call us today at (866) 290-4134 to get started.